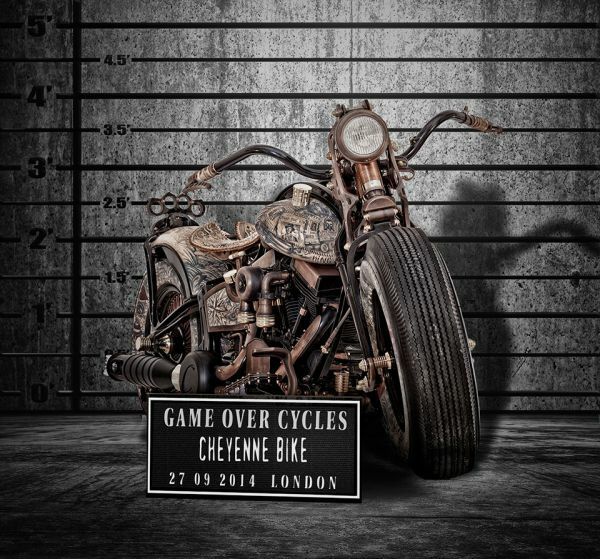 Honoring the traditions of motorcycling and the symbolism of the tattoo community worldwide, the Cheyenne Bike is a unique masterpiece that captures the art and beauty of both these worlds. 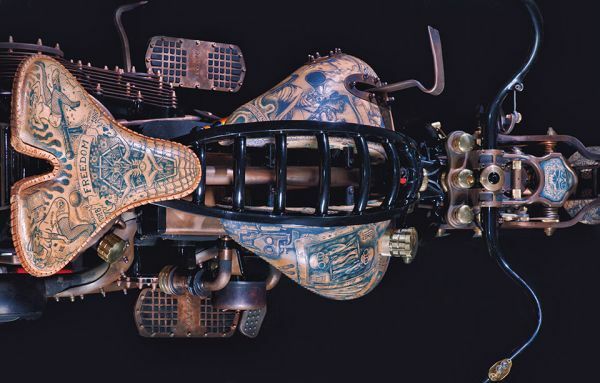 Unlike other art bikes that are decorated with tattoo motifs using an airbrush, the Recidivist motorcycle is entirely covered in tattooed skin branded directly onto the bike’s tank, tires, fenders, seats and other smaller parts too. 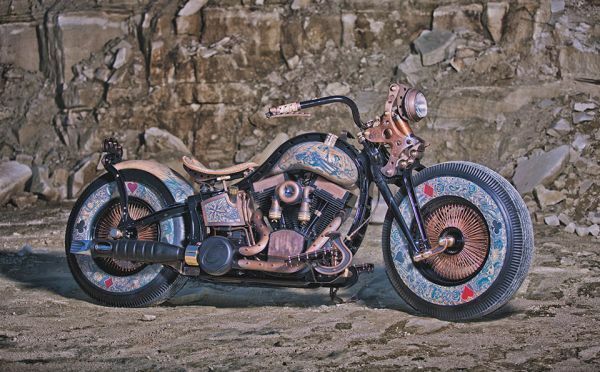 Light colored leather similar to the color of human skin is engineered onto the motorcycle. 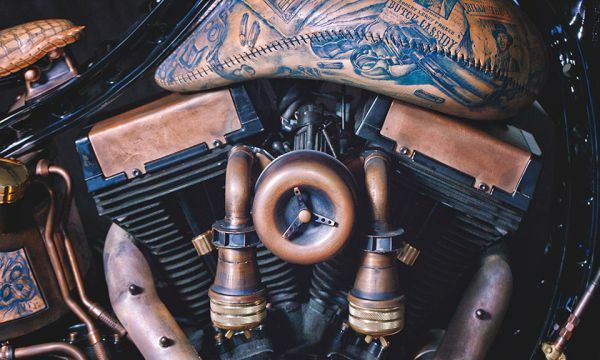 The traditional and breathtaking work of tattoo art was applied onto the bike by two tattoo artists from the Polish tattoo studios, Individuum and Steel Will Tattoo-Factory. 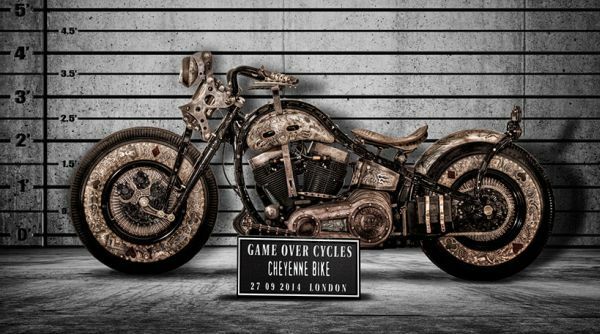 The one-off Cheyenne Bike by Game Over Cycles was premiered at the London International Tattoo Convention 2014 on 27th September.